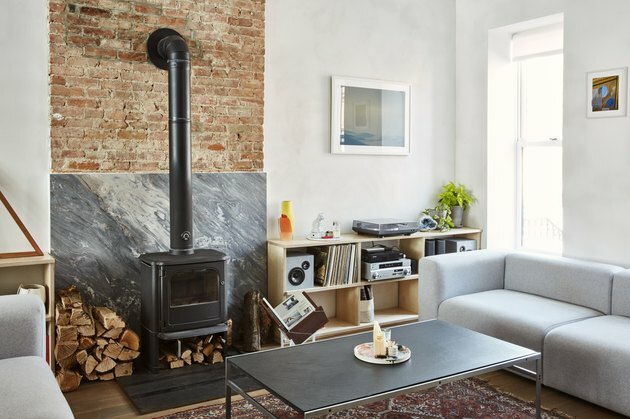 When architect Keith Burns went to renovate a Brooklyn brownstone for himself and his wife, Lauren Snyder, owner of The Primary Essentials design shops, he didn't have the usual restrictions from a client. Instead, the constraints on the project came from the building itself. The home (which Burns notes was previously uninhabitable) is located in a historic district, so he had limitations as to what could be changed. The main goals: increase the amount of natural light and make the home more energy efficient. Inside, a pale palette lets the natural materials take center stage. "I like using natural materials as a way to add tone and texture to a space instead of using applied materials like paint," Burns told Hunker. "I tried to balance the materials in each space and locate them to play off of each other." 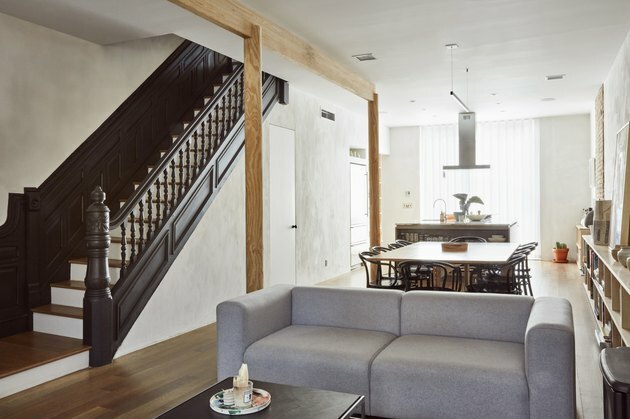 The transformed brownstone, which also includes a separate garden apartment for a lucky tenant, manages to respect the original structure, while making it livable for today. 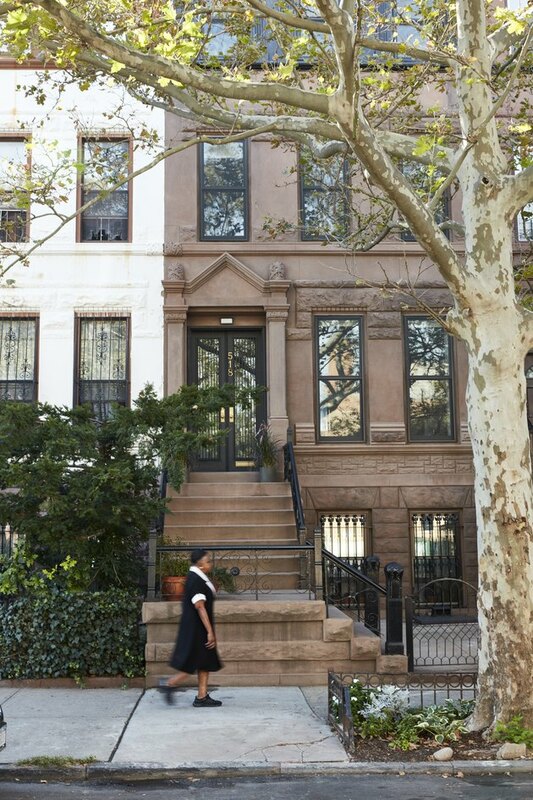 Because the brownstone is located in Brooklyn's Bedford-Stuyvesant neighborhood — a historic district — the couple was limited in what they could change in regard to the facade. They installed a new roof and windows as part of the restoration of the neglected building. Burns kept the brownstone's original staircase and painted the trim and molding in a charcoal gray. The open space spans the kitchen, living, and dining room areas. A Morsø wood-burning stove heats up the living room, which is furnished with a pair of Mags sofas by Hay. Burns installed blue marble over the existing brick chimney. 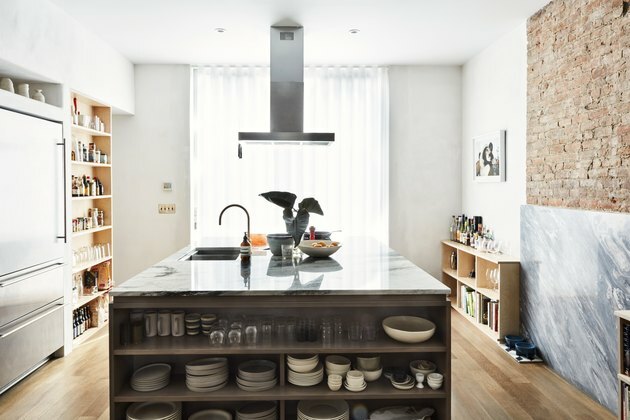 A large marble–topped island dominates the kitchen and defines the space. Baltic birch plywood open shelving adds additional storage. An area of the second floor hallway was turned into a study and sitting area with a window bench by Hub Woodworks, which did all the millwork throughout the home. Eames LCW chairs are paired with a small custom table. A Baltic birch plywood wall with a wax finish separates the master bedroom from the closet area and also serves as a headboard with built-in storage. The bright room is painted in Benjamin Moore's Decorator's White and Andrew Neyer Crane lamps are installed beside the bed. The master bath is open to the bedroom, maximizing the light in both spaces. The shower enclosure is made of glass and green cleft slate. 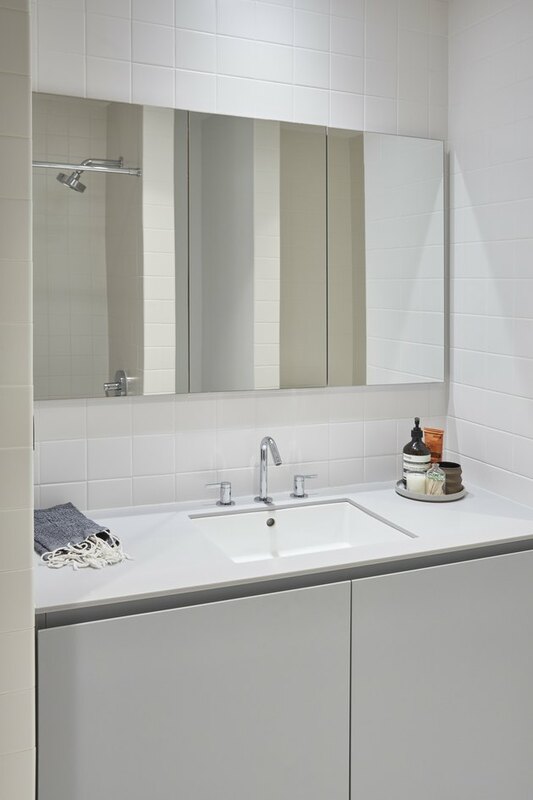 The guest bath is sleek and simple. 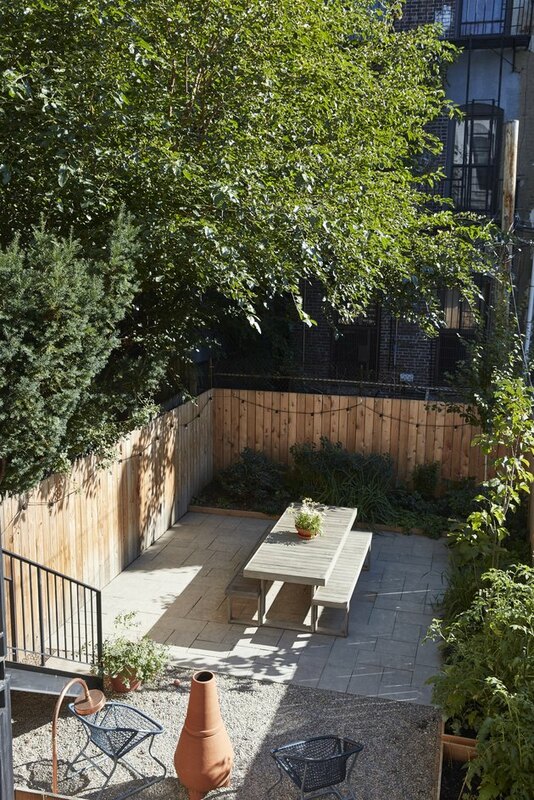 A cedar fence surrounds the back garden which is paved with bluestone and gravel. Fermob chairs flank a terra-cotta fire pot. Burns also put a great deal of effort into making the building more energy efficient, installing solar panels on the roof, radiant heating, and a rainwater collection system for the garden.